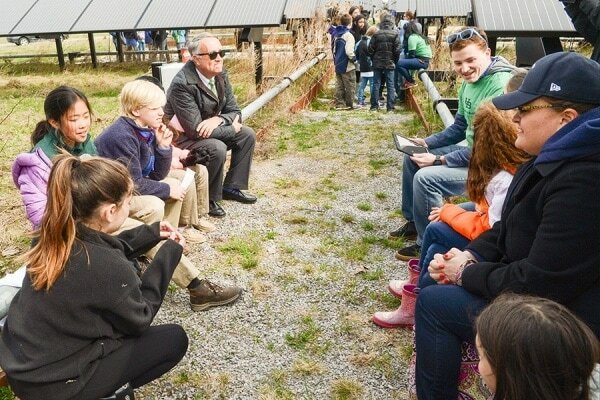 Earth Day celebration with local Buffalo students, Spring 2014. Teaching a lesson in classroom, Spring 2015. 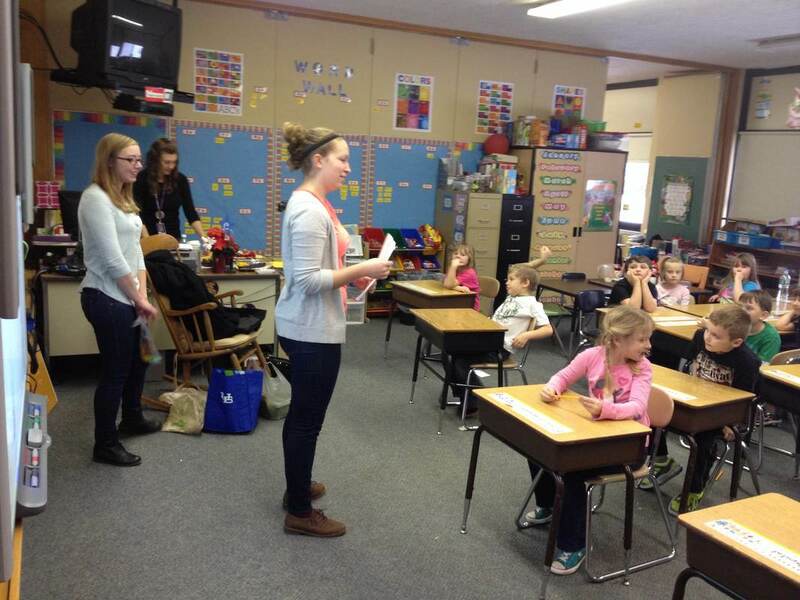 Project leader, Meghan Aronica, presenting two games at a school, Fall 2017. Education Outreach works with local schools and organizations within the Buffalo area to teach lessons of sustainability to children. They currently have several lesson plans ranging from waste disposal/recycling to ecology and invasive species. The plans are geared from grades K-5 and encompass a lesson and an interactive activity. Education Outreach also has activities to perform at booths or fairs that teach important concepts in sustainability. 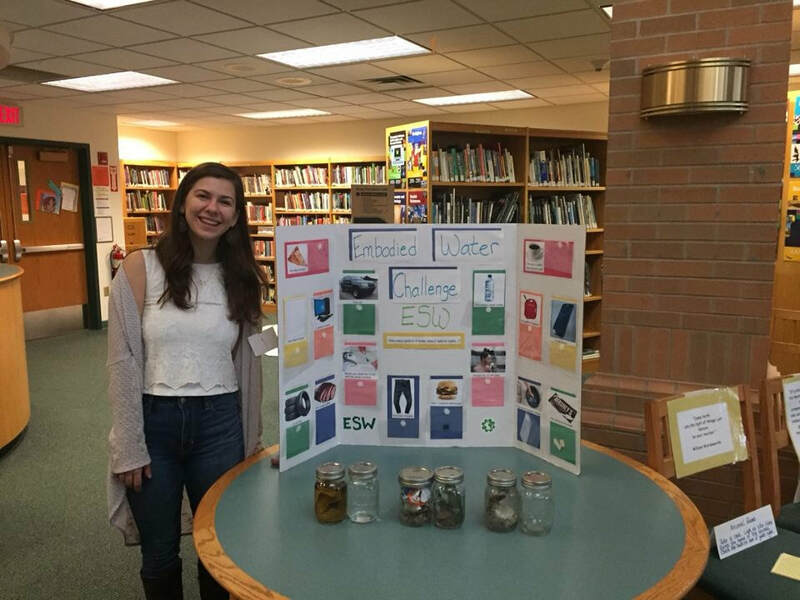 For instance, they have an embodied water challenge and a recycling challenge. If you're interested in having ESW come to your school/community please reach out! Meghan is a senior in environmental engineering. This is her first year as a project leader. Michael is a freshmen in chemical engineering. This is his first year in ESW and as a project leader.